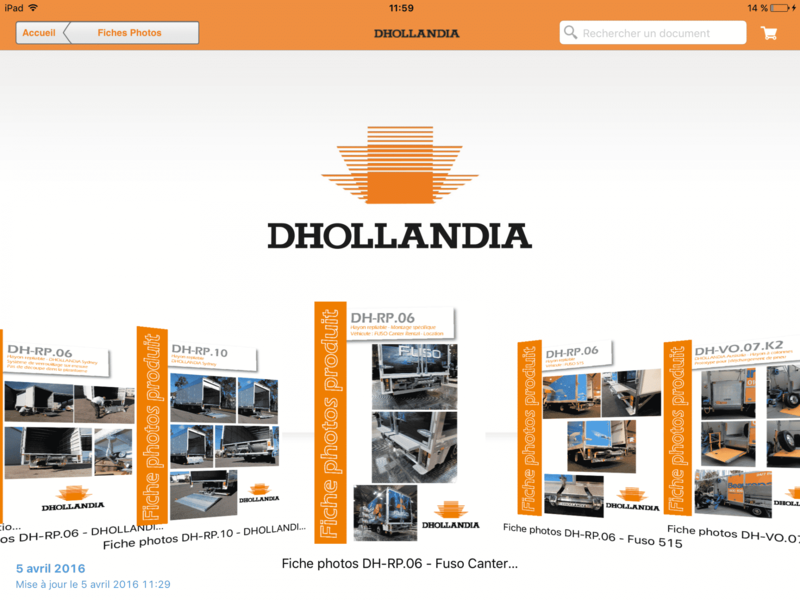 Europe’s leading forklift truck manufacturer, Dhollandia is a multinational group with manufacturing sites in 5 countries and a distribution network that covers over 50 countries around the world. 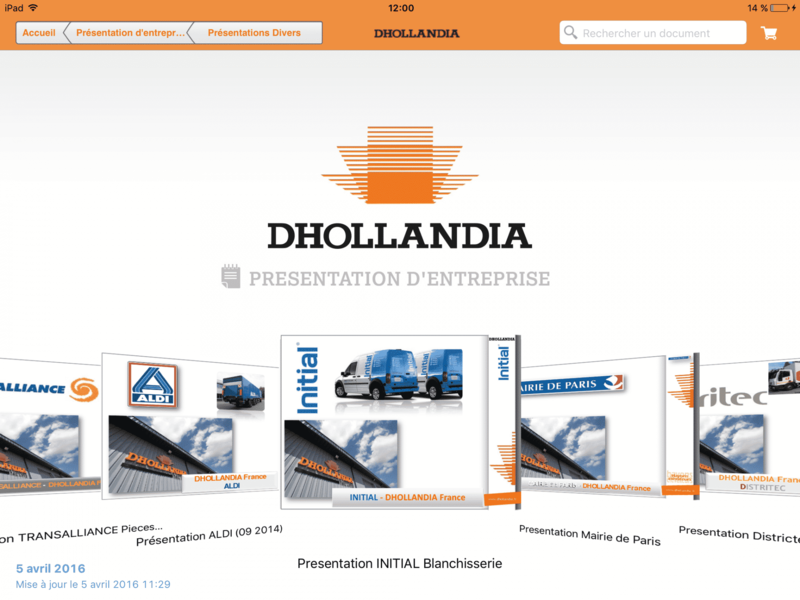 Its French subsidiary, based in Nanterre, employs some twenty sales people throughout France. 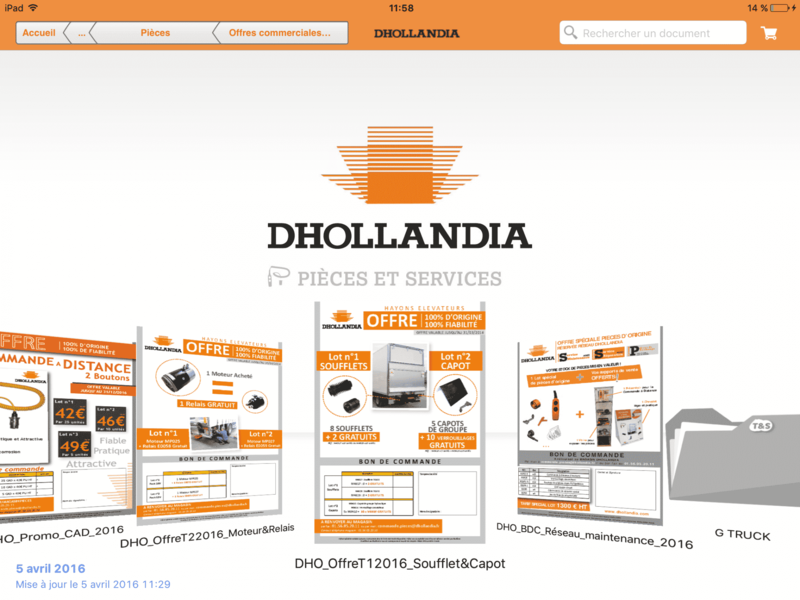 The fact that its sales force is widely spread and its offers and prices are regularly updated led Dhollandia France to decide to adopt touchscreen tablets, since the updating of printed documents (brochures, data sheets, catalogues etc.) was proving time consuming, complicated and demanding. Thanks to Touch & Sell, the sales representatives are now more in control during their meetings. 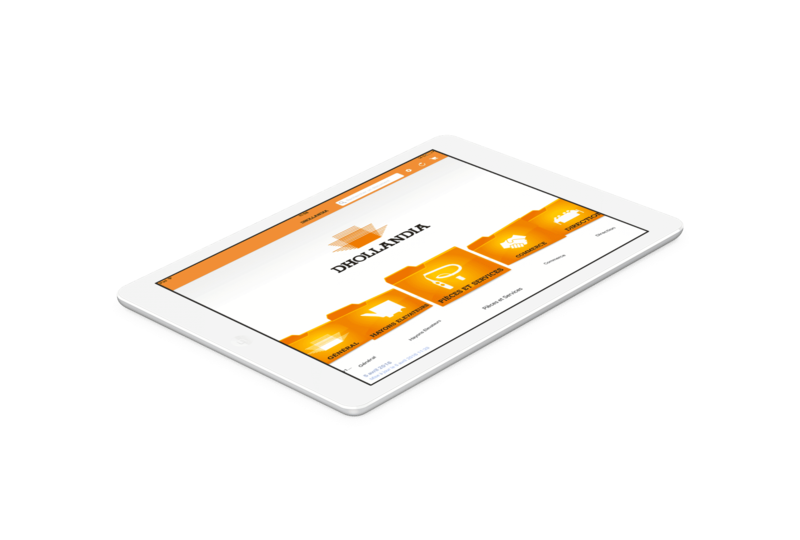 They are able to call on every conceivable kind of marketing collateral (PDF, videos, 3D files...), which they can forward in real time to their customers. 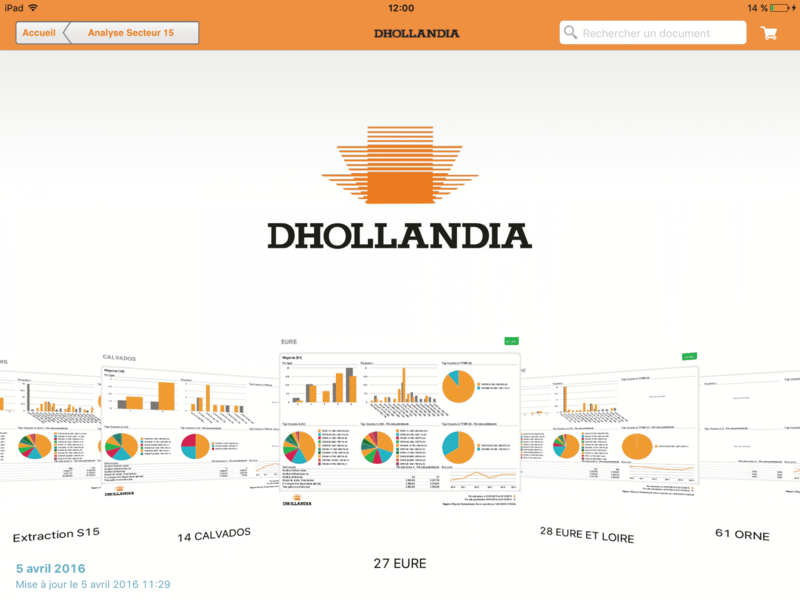 “We were attracted by the operation of the app in offline mode”, explains Julia Crosnier. This feature allows our sales people to ensure that their collateral is up to date and available, even when they are not within range of a wifi network. The notifications stand out from the stream of e-mails our sales representatives receive every day and allow special offers to be highlighted or specific products promoted.